Drag and drop files or folders in the Frame.io Mac App for fast and simple uploading. 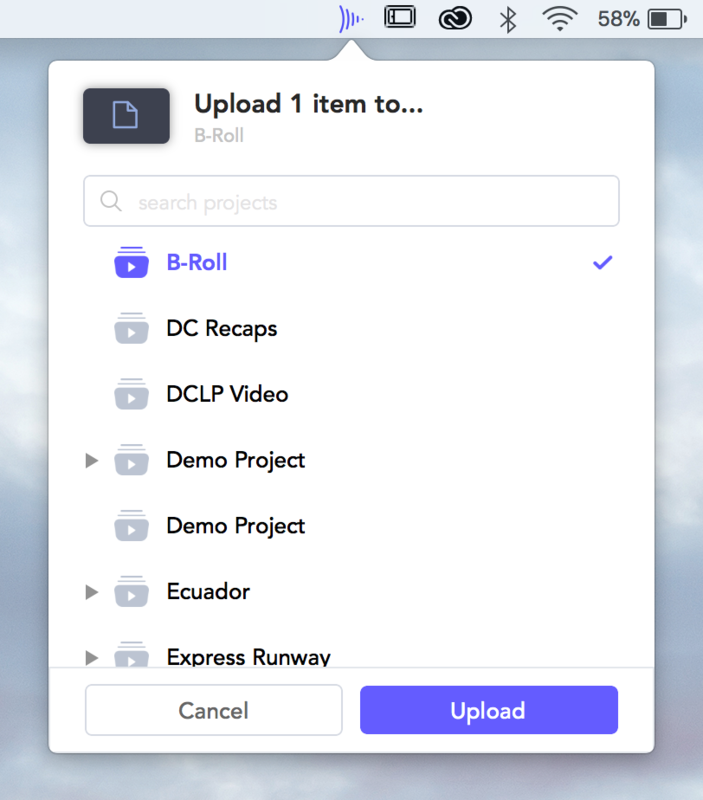 When dragging a folder with folders onto the app in the menu bar, Frame.io retains the folder structure when it's uploaded to the selected project or folder. The Frame.io Mac App uploader is better than ever. Resilient: Rip out your external drive, restart your computer, lose your connection. Your uploads will automatically resume when your connection is back. Accelerated: Competition-crushing, accelerated uploading, up to 5X faster than Dropbox. Convenient: Take a folder, drag it to the menu bar. We'll upload all of its contents to Frame.io while preserving the folder structure. When files have finished uploading, a desktop notification will let you know.